Well, something unexpected happened on the way to the old-media boneyard. Within the past couple of years BuzzFeed and Vice, which had made strides toward becoming major players, fell short of revenue projections and had to cut back on their ambitions. This was owing partly to hubris, partly because Google and Facebook were hoovering up every digital advertising dollar in sight. Meanwhile the Times and the Post — the latter supercharged by its mega-wealthy owner, Amazon founder Jeff Bezos — moved toward economic viability by rethinking coverage and convincing a generation of readers brought up on free online content that quality news was worth paying for, particularly in the age of Trump. 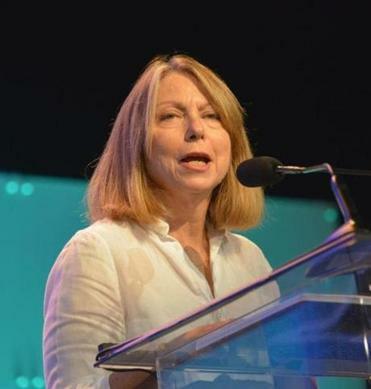 Some have criticized Abramson for favoring the legacy newspapers over the digital start-ups. There may be something to that. She goes into great detail about BuzzFeed founder Jonah Peretti’s research-driven pursuit of clicks and viral content and about Vice’s culture of alcohol, drugs, and sexual harassment. Vice founder Shane Smith comes off as a shambling egomaniac, although later in the book he is depicted as trying to clean up his act. But those sections strike me as warranted and fair. After all, BuzzFeed was built on a foundation of cat videos and listicles, and Vice’s chaotic, testosterone-fueled internal culture is surely relevant. Besides, Abramson is generous in acknowledging the importance of their best journalism, including Craig Silverman’s groundbreaking work for BuzzFeed on fake news and Elle Reeve’s mini-documentary for Vice about the deadly neo-Nazi protests in Charlottesville, Va. The chapters on the Times and the Post cover ground that will be familiar to many media observers. Abramson traces the Post’s decline during the last few years of Graham family stewardship and its revival under Bezos. The Times’s journey was more harrowing — bailed out by the Mexican billionaire Carlos Slim, forced to sell its gleaming new headquarters, and casting off its non-Times properties, including The Boston Globe. Abramson criticizes both newspapers for smudging the line that had traditionally separated news from business operations, a line that she observes doesn’t even exist at BuzzFeed or Vice. Mostly, though, she praises the Times’s and the Post’s reinvention efforts. In the most awkward section of the book, Abramson deals with her 2014 firing as executive editor of the Times. She uses the occasion to do some score-settling against the then-publisher, Arthur Sulzberger Jr., and her successor, Dean Baquet. But her account strikes me as fundamentally honest and reflective, as she blames her demise on a combination of sexism and her own shortcomings as a manager. “Merchants of Truth’’ spawned controversy even before the book was published. First, Howard Kurtz of Fox News reported that Abramson had criticized the Times for liberal bias. And yes, Abramson writes, “Given its mostly liberal audience, there was an implicit financial reward for the Times in running lots of Trump stories, almost all of them negative.” But it’s not quite that simple. For instance, she lauds both the Times’s and the Post’s tough coverage of the Trump administration, reserving especially fulsome praise for her former employer: “The depth and intensity of the coverage was masterful. On most days it outshone the Post’s. The news report as a whole had never been stronger.” By leaving out that context, Kurtz created a misleading impression. More problematic were revelations of errors in the uncorrected galleys. Vice reporter Arielle Duhaime-Ross complained that Abramson had made multiple mistakes about her, including her gender identity. Danny Gold of the “PBS NewsHour” tweeted that Abramson’s description of his past reporting for Vice about Ebola in Liberia included “a straight up lie.” Errors in galleys are common, but they generally involve typos and spelling mistakes. And not all of the problems were addressed in the final version of the book. Inaccuracies notwithstanding, “Merchants of Truth” is a valuable and insightful survey. It ends on an optimistic note, with one caveat: Abramson acknowledges that the relative good fortune of the four media organizations she profiles stands in contrast to the implosion of journalism at the local level. The media scene Abramson describes remains in turmoil. Witness the deep cuts at BuzzFeed that took place late last month. Whether journalism will outlive the wobbling vessels in which it is carried remains a fundamental question for the future of democracy.